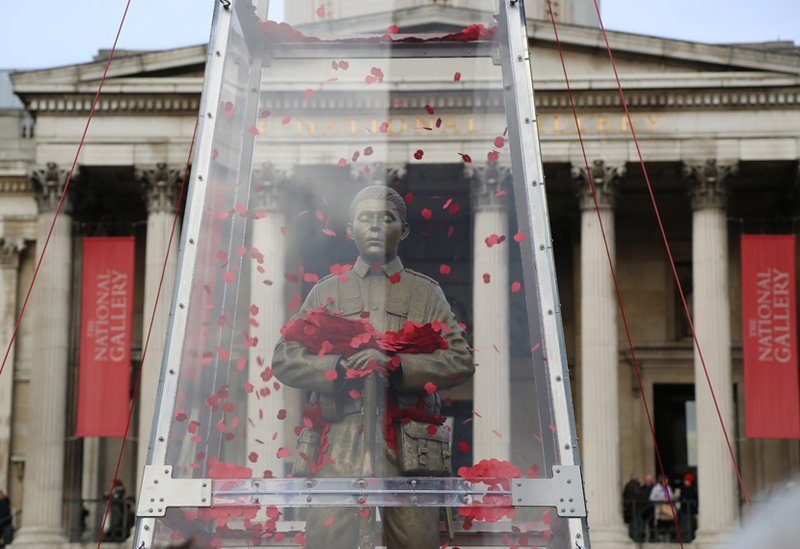 This sculpture depicted a soldier of the First World War standing within a clear acrylic obelisk. 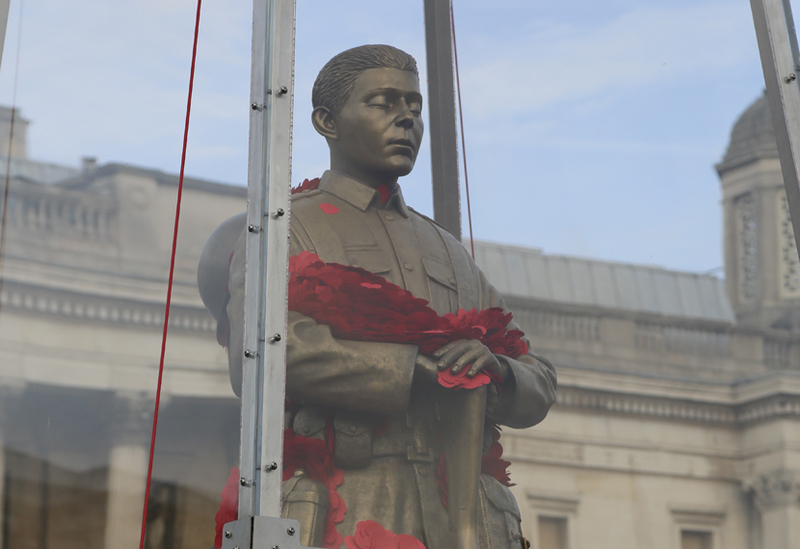 A cloud of 1,117,077 paper poppies was blown at timed intervals, coming to rest on the floor around the soldier’s feet and in the embrace of his arms. 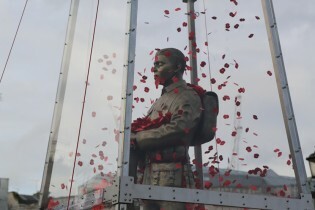 We were asked to help create a suitable air circulation system, ensuring that the correct effect was achieved with the poppies. 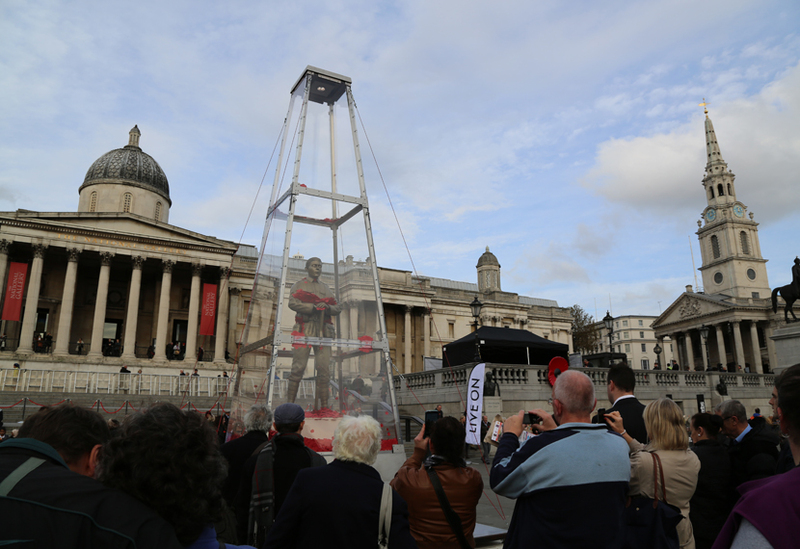 A deceptively tricky task, this involved a few weeks of trial and error to ensure no poppies were trapped at the top of the obelisk by the upward stream of air, or at the base by the down draught as the air recirculated. 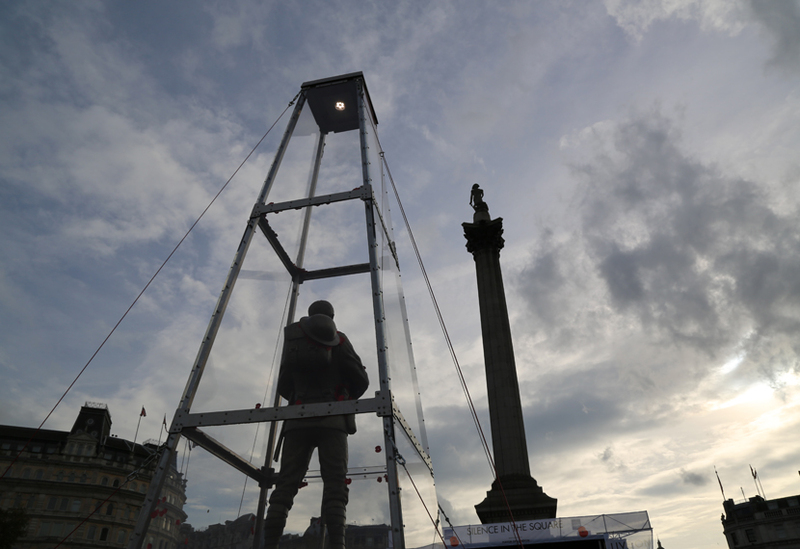 We also provided a light at the top of the obelisk and a steel sub-frame to add stability. 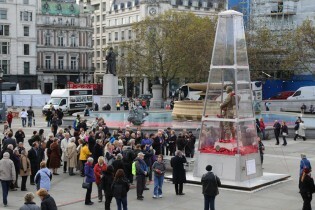 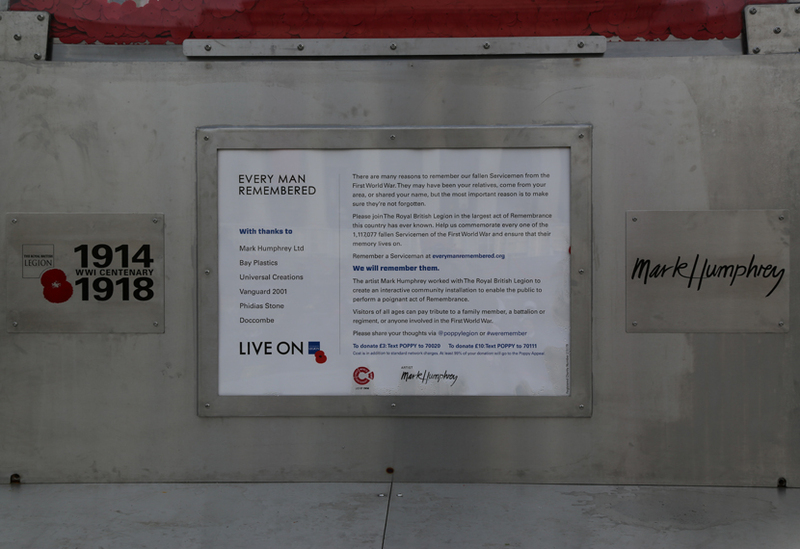 The statue was installed in Trafalgar Square for Remembrance Sunday before it began a four-year tour of Britain.